What's in it? Make up box includes 4-6 full-size premium makeup products. Jewelry box includes 4-5 boutique jewellery pieces. All are picked to match your profile preferences. Wantable tricked me this month. I wasn't planning to order the June box. The subscription is nearly $50 per month when you add in tax, duties and shipping so I originally planned to only order periodically. Then Wantable released a teaser photo of some of the items available this month... and that necklace... THAT NECKLACE! I wanted it so bad. So I ordered the June box and crossed my fingers. The June box is curated by Lara Eurdolian, an "accessories expert" who runs prettyconnected.com. Wantable also expended their collection to include sunglasses, watches, scarves and headbands. I'm four months into my year long Beauty Box 5 subscription and I thought this would be a good opportunity to do a full analysis of the subscription so far. My subscription started in February and to date, I have received boxes for February, March, April and May. I am going to analyze a few areas of this subscription: shipping, content and value. 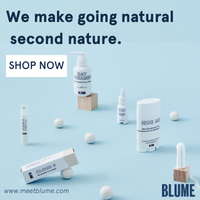 Shipping will look at when the boxes ship and how long they take to arrive, content will examine product count, product quality and product/brand variety and value will break down cost paid, value received and total savings. This post will include only the facts and figures, no commentary or judgment. I hope it will help those of you who are thinking of signing up for Beauty Box 5. SHIPPING Box is supposed to ship on 15th of every month. Ships from Texas. 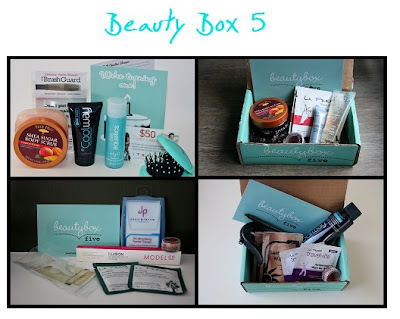 Beauty Box 5 promised 4-5 products every month from "your favorite beauty brands". Bonjour Jolie is a Time-of-the-Month subscription box that brings you "what you need, as well as what you want, to sail through your monthly periods with ease". Last month I received a complimentary box for review (you can read all about it here) and I loved it! I wasn't planning to subscribe immediately because I already have too many boxes, but then Bonjour Jolie had a one day sale offering 20% off a 3 month subscription. I immediately signed up! The "Grand Opening Box" last month was amazing. I really wondered if Bonjour Jolie could match that first, great box. This one came pretty darn close. The theme of this box is "Summer of Color"
What’s in it? 4 deluxe beauty samples I know I must sound like a broken record, but the Topbox shipping system is the most efficient and timely of any subscription service I have experienced. I received the shipping confirmation e-mail June 10th around 1500hrs and the box was delivered at 1036hrs on June 11th. I also love how Topbox uses Canada Post shipping tools, so we also receive delivery confirmation e-mails. I was at work when I received the e-mail and couldn't wait to get home for lunch to check my mailbox!